Galantis has been gaining huge momentum in recent months and have perfected energetic sets littered with catchy original pop tracks, popular remixes and deep, driven bass-lines. Hailing from Stockholm, this Swedish duo has a lot of experience behind them. Christian Karlsson is also a member of indie-electro outfit Miike Snow and has written hits for the likes of Madonna, Katy Perry and Britney Spears (co-writing ‘Toxic’ which went on to win a Grammy for Best Dance Recording), whilst Linus Eklöw co-wrote Icona Pop’s infectious track ‘I Love It’ and also performs under the moniker Style of Eve, which resides in the underground techno genre. 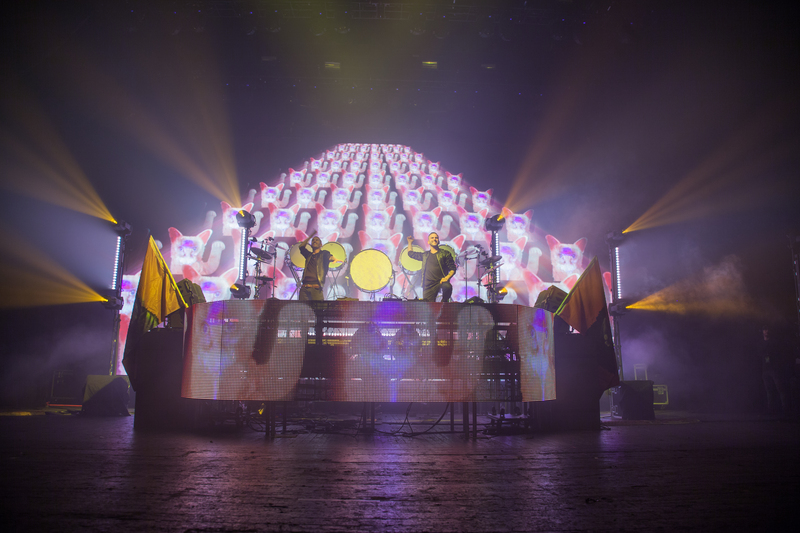 Having produced and performed as Galantis since early 2012, the pair have made it their mission to combine the upbeat party influence of EDM music with meaningful lyrics and catchy hooks and riffs and, uniquely, they have even gained a mascot along the way. Their first single released through Big Beat Records in November 2013 featured the first instance of the Sea Fox, a creature creation from Mat Maitland. Since then, the Sea Fox has appeared on album covers, in live shows and in the minds and hearts of their enormous fanbase – The Seafox Nation – which amasses over 631,000 dedicated followers on Instagram. 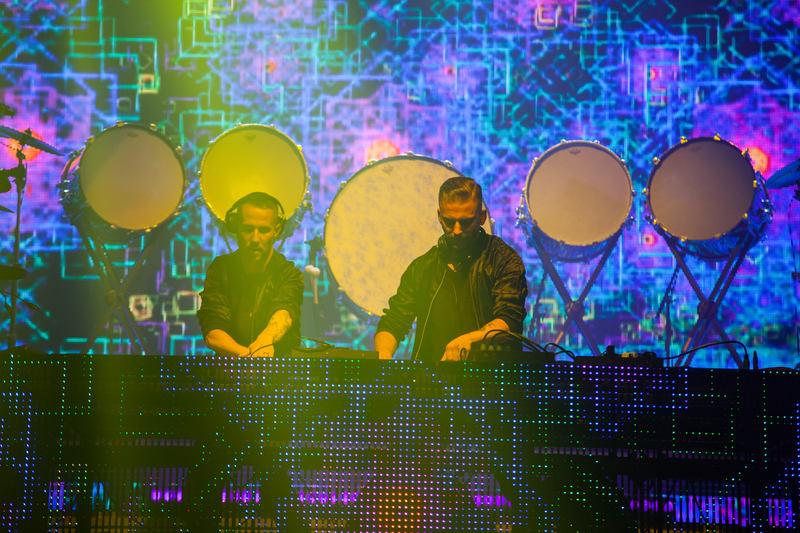 With more huge successes to follow in the form of tracks like ‘Runaway (U & I)’, ‘Peanut Butter Jelly’, and ‘No Money’ – alongside enormous festival appearances at Ultra, Electric Daisy Carnival, Miami Music Week & Coachella (and some huge UK dates coming up at the likes of V Festival and Radio 1’s Big Weekend) – Galantis are clearly doing something very, very right. 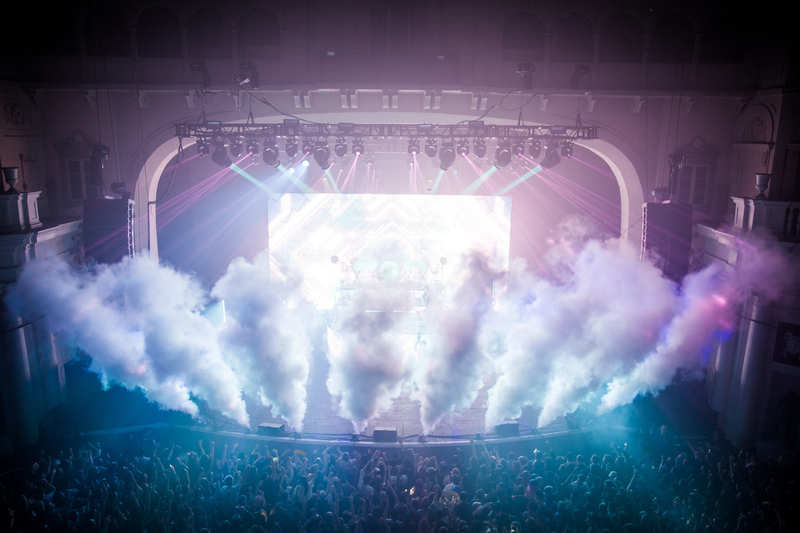 Entertaining a fully sold-out Brixton o2 Academy, last month the masters of euphoria brought their immersive audio-visual set to their biggest UK show to date, wow-ing the attending Seafox Nation from start to finish with supreme energy; big stage jumps; smoke; streamers and strobes. Offering an eclectic set of original tracks – such as the aforementioned hits and ‘Gold Dust’; ‘Fire Bird’ and ‘In My Head’. To everyone’s delight, the Galantis boys also catered for the previously unenlightened, like my plus one Clementine who, although hadn’t heard of the duo before, supremely enjoyed high-paced Galantis-infused remixes such as Ed Sheeran’s ‘Shape of You’, Clean Bandit’s ‘Rather Be’ and Küngs’ ‘This Girl’. Simply put, Galantis at Brixton was one hell of a party for everyone involved. With the crowd warmed up by support acts ICARUS & NAATIONS, fans jumped, bounced and danced from the very beginning on Galantis’ lengthy set, constantly entertained by pops, smoke cannons and confetti released by the seemingly trigger-happy pair who were intent on releasing jet after jet to correspond with every single drop. Clearly, the pit crew’s warning “Don’t walk in front of the cannons”, had been a fully justified one. As the explosive evening raged on, the Swedes demonstrated their talent and passion for what they do, always with a smile on each of their faces; perfecting energetic sets littered with catchy original tracks, popular remixes and deep, driven bass lines – in turn putting a smile on the face of each and every one of the 4921 in attendance (give or take a few for staff enjoying their jobs). 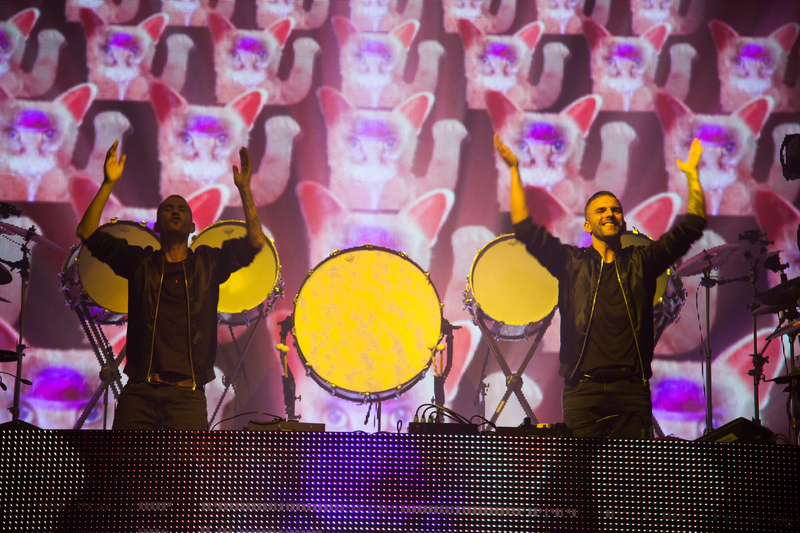 Galantis are truly one of a kind in their sound; their appearance; and their supreme energy. If there’s one act you see this summer, make sure it is Galantis. Long Live the Sea Fox.